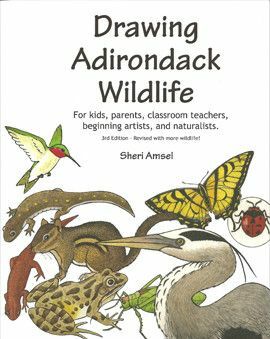 Beginning artists are given easy step-by-step instructions on how to draw the animals of the Adirondacks. Birds, mammals, insects, amphibians, reptiles, and fish are included. Simple enough for a child to follow but complete enough for naturalists, parents, and teachers. Accompanying text tells about each animal. Educational entertainment for all ages.